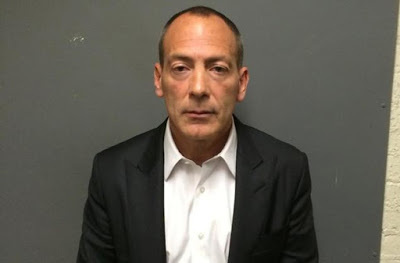 Despite being charged with 20 felonies last May, Steve Croman's tenants have alleged that their landlord continues to harass them. Also last December, tenants of 159 Stanton St. sued Croman in housing court, saying he was subjecting them to unsafe conditions and harassment. In February, the Department of Buildings issued a partial vacate order on the building, with the residents of two apartments forced to relocate until unsafe conditions were rectified, as The Lo-Down reported. Now Sen. Brad Hoylman is releasing the results of a review of eviction cases filed by Croman against tenants in the Senator's district and throughout Manhattan. Hoylman is calling for an immediate stay on all Croman-initiated tenant cases. According to Hoylman’s review, at least eight active cases are proceeding against tenants. "Croman’s M.O., as the Attorney General alleges in the criminal complaint, is to harass tenants by filing baseless lawsuits against them. The court should stay all of the cases where Croman is suing tenants until these serious allegations are addressed. Otherwise, these tenants, many of whom are not represented by legal counsel, risk irreparable harm, including losing their homes," Hoylman said in a statement. "The bottom line is that Croman is running a criminal enterprise. Justice demands his cases against tenants be stayed." Two East Village buildings are in the list of cases proceeding: 229 First Ave. and 309 E. Eighth St.
State Attorney General Eric Schneiderman announced the charges against Croman in May 2016, including multiple felonies for his role in an alleged scheme to fraudulently obtain several multi-million dollar refinancing loans between 2012 and 2014. The civil lawsuit, filed in New York Supreme Court in Manhattan and the product of an independent investigation, alleges that Croman used, among other things, the illegal tactic of pressuring tenants into surrendering their apartments by repeatedly filing baseless lawsuits against them. His criminal case has been adjourned and bail continued five times now, according to the Croman Tenants Alliance. His civil court date is June 5. The New York Post reported earlier this month that Croman was nearing a plea deal that would see him serve eight months of jail time and pay a fine up to $10 million. This is good news but it still doesn't explain what's going on with the criminal trial, and why only Page Six reported the alleged sweetheart deal that lets him get off with minimal jail time, and a fine that only puts a small dent in CroMagnon's art collection. It's obvious that his anti-tenant practices have not changed, so what's the point in letting him off so easy? Is that a mugshot photo or is he just practicing? $10 mill is nothing, that is probably the sales price on one of the least valuable of his 47 properties. Criminal case adjourned 5 times while he is out of jail, Ben Brafman is a good lawyer. It's possible that "deal" is just PR from his superstar "Strauss-Kahn" lawyer, Ben Brafman. some more links re: EV AirBnb Empress getting fined by City. Hoylman is the goods. Croman must be destroyed. Mr. Hoylman- thank you for look in . Out for the tenants of MY. My warmest thanks sir! Everyone knows that the Post is a rag and Page Six is absolute garbage, especially the pathetic nonsense that Richard Johnson writes about. They have featured many of the Steve Croman and his equally greedy wife Harriet Kahan Croman's tasteless & tacky parties. Everyone knows that it was either Croman's lawyers, or Croman's hired publicity firm, Phil Singer's " Marathon Strategies," or even the Cromaan themselves may have done it, to deviously plant the article in Page Six. Well, Phil Singer, Steve, Harriet & Bronfman.... it didn't work and you're going to jail. Let's hope it's to Rikers Island. Thank you Mr. Hoylman! You're the best!